A rare opportunity to purchase an exclusive development site which has outline consent for up to 3 detached dwellings (2 open market and 1 affordable) set in spacious plots in the rural village of Pool Quay. 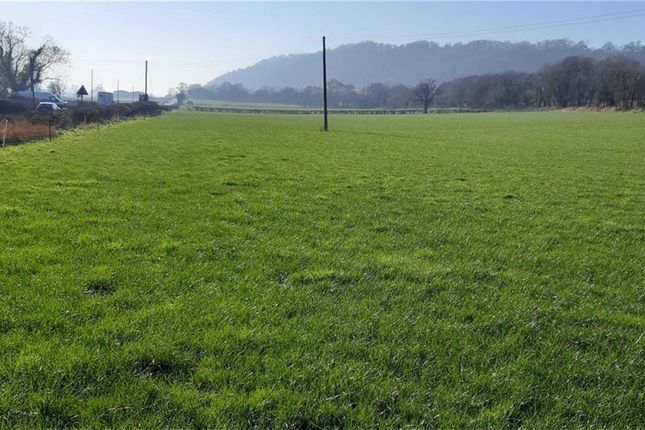 The site has an excellent position adjacent to the A483 trunk road and commends excellent views of the surrounding countryside. - Development opportunity with an outline consent for up to 3 residential properties. - Located with excellent access onto the A483. Pool Quay is a Village in Montgomeryshire, Powys which is situated approximately 3 miles North of the market town of Welshpool. Welshpool is host to an excellent range of local amenities and transport links to include a railway station, primary and secondary schools and range of supermarkets and high street shops.